So, leisurely meander through our offerings and enjoy yourself! Seventeen restored photographs tell the story of the young lawyer in Springfield, Illinois who became the sixteenth President of the United States, many with full screen pop-ups, in Abraham Lincoln: The Changing Face of History. The portraits and his own words reveal who Lincoln truly was, both as a man and as a national leader during our country's most turbulent period. Techniques for creating the illusion of movement are shown in Animation By Example. Simple toys like the flip book, the thaumatrope, the zoetrope and the praxinoscope date back to the nineteenth century. Motion pictures of live action, chalkboard illustrations to handpainted cels began in the silent film era. Today, computer generated images are commonly used to great effect. Every four years, a person is selected to serve as the President of the United States. Candidates are announced, state primaries and caucuses are held, nominees are chosen in national conventions, a popular election is conducted, ballots are cast in the Electoral College and tallied by the US Congress, an inauguration ceremony performed - all for Electing A President. 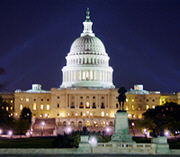 Our nation's capital is home to the three branches of the federal government which are housed in the US Capitol, the White House and the Supreme Court. This beautiful city is also home to many presidential monuments, memorials to those who served in the military, and cultural organizations such as the Smithsonian Institution. You can see them all and learn alot, too, by Exploring Washington, DC. In 1933, the movie going audience was introduced to a giant ape from Skull Island who battled dinosaurs, crushed local natives and finally had one unforgettable adventure in New York City. The film was "King Kong." Seventy-two years after, the movie was remade employing the latest digital visual effects rather than the stop motion animation of the original. King Kong, Movie Star, compares these two classic films and the technologies used to bring its terrifying star to life. On the south African subcontinent is the scenic nation of Zimbabwe. Here a traveler will find a breath-taking landscape populated by uniquely magnificent wildlife that includes the lion, zebra, elephant, crocodile, wild dog, impala, kudu, wildebeest and ostrich. The photo essay entitled Safari in Zimbabwe illustrates one visitor's journey across this majestic country. It’s a Chinese puzzle that's been popular around the world for centuries. The Tangram uses seven geometric pieces cut from a perfect square to construct pictures- of a man bending, a bird flying, a cat standing or a double headed arrow- and now you can play online. What song has as lyrics a poem describing a wartime battle outside our nation's capitol and the melody of a British drinking tune? 'Tis The Star-Spangled Banner. Here's the dramatic story - the song's writing, immediate popularity and selection as our national anthem 117 years later - presented in a musical and interactive history accompanied by both a sing-along and gallery. ​The first total solar eclipse of the 21st century occurred on June 21, 2001. In a small village in the African nation of Zimbabwe, local villagers including children gathered with amateur American astronomers to observe this most wonderous of nature's spectacles. 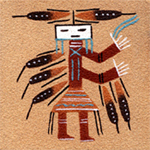 The event is depicted in words and photographs. America's solar eclipse in 2017 stretched from coast-to-coast. 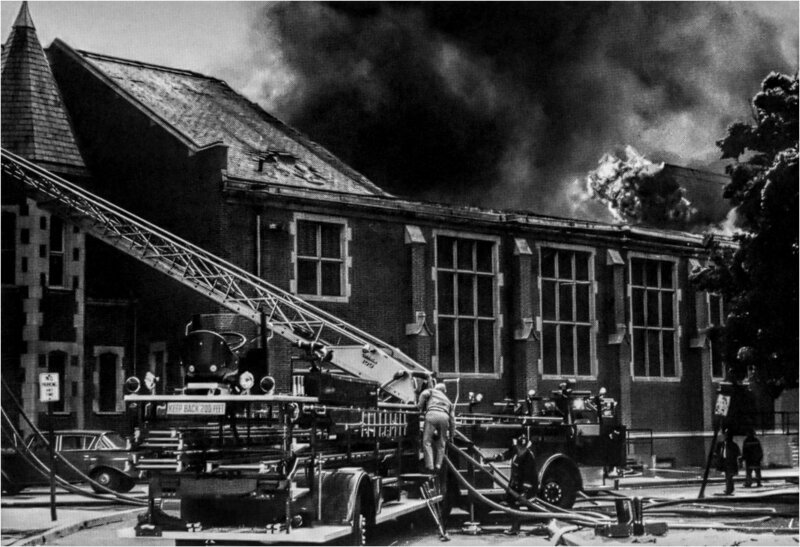 ​New Rochelle High School in New Rochelle, New York was virtually destroyed by an arson fire on May 17, 1968. The school district was subsequently faced with the task of relocating the school's three thousand students and successfully completing the academic year, while local authorities sought the arsonist. With an array of historic photographs, this article details the devastating fire and the school's eventual recovery.